Inder Loves Folk Art: Birthday Geranium. Birthday dress #1, completed! This is for my BFF's daughter, who is turning 5 this June. 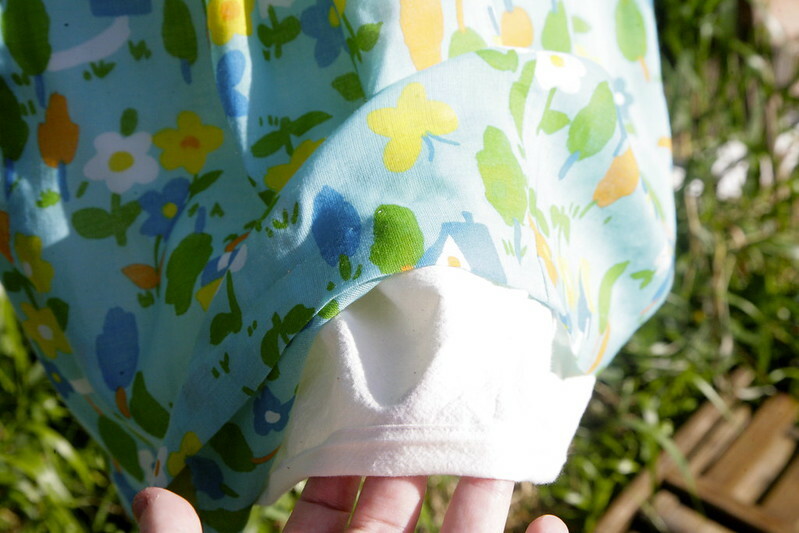 I knew she (BFF and daughter) would appreciate this fun and cheerful printed cotton, which I bought on Etsy a couple of months ago after falling hard for the colors and the flowers and the pretty little houses. You know when you're reading a sewing blog post, and thinking, "OMG, I love that fabric - what is it and where can I buy some?!" and then the writer says, "oh, this fabric is vintage," or "oh, this fabric has been in my stash forever," or "oh, I picked it up at an op-shop/thrift store." Don't you hate that? Yeah, me too. But, this fabric is vintage and I got it on Etsy and good luck finding any more of it. Sorry! This is the Geranium Dress, of course. With a notched neck, ruffle sleeves, patch pockets, and gathered skirt. And a little yellow piping at the waist. 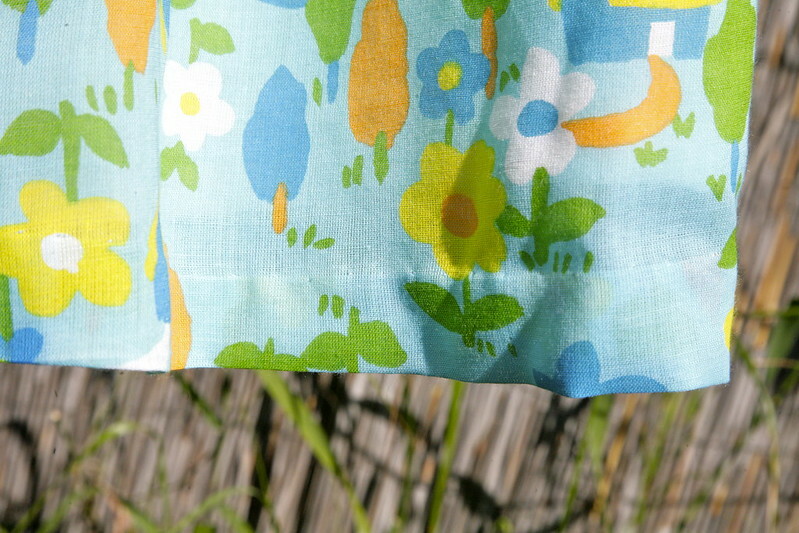 I also lined the skirt as well as the bodice, because this pretty vintage fabric (a super soft cotton/poly blend voile - perhaps intended for curtains?) is a bit sheer. The ruffle sleeves are so darling. I love the way you cut them out almost in a spiral, so that they are mostly on the bias. Genius! I was worried that the zig-zag finish would look messy, but I actually really love it. Here is the back. This dress is so soft and poofy. I think it will be really nice to wear! It's definitely a party dress, but it's practical enough to wear for less festive occasions too. 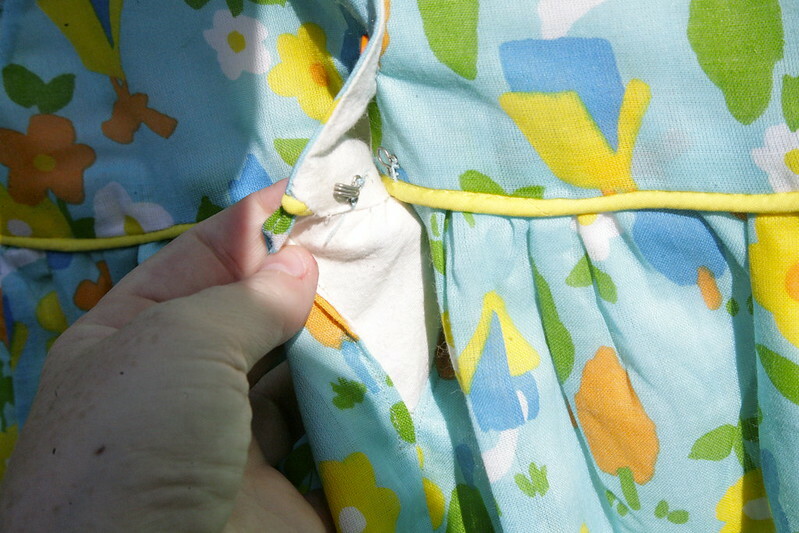 The only challenging part of sewing this dress was that waistline - gathering two layers of fabric into a waistband with four layers (two layers of fabric plus piping seam allowances) was not a picnic, and I had to redo several sections of it. But in the end, I triumphed, and deemed it "good enough." The side seams don't perfectly match up, and the front patch pockets could have been slightly better placed, but ... it's pretty darn okay. I decided to use three different colored buttons on the back for a fun and playful look. The size five could probably use four buttons at this size rather than three, but I didn't like any of my options, so I sewed a hook and eye at the back waist to help secure the waistline. I finished the lining - simple off-white muslin - by machine. 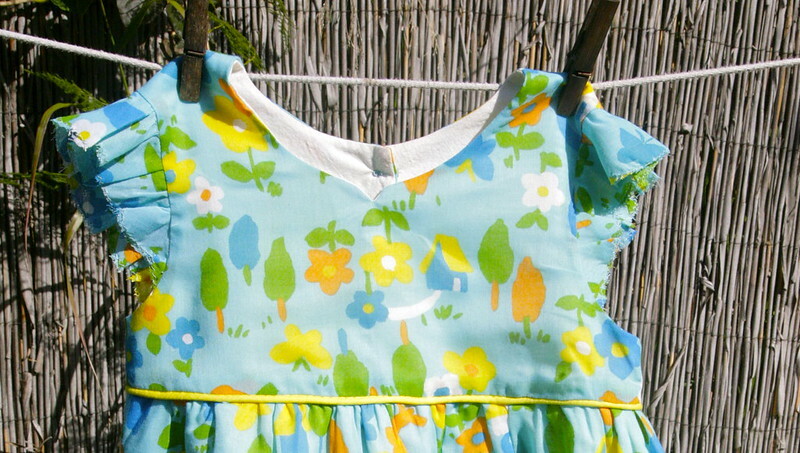 The Geranium Dress is one of my favorite patterns to sew (I have to say, I always love Made by Rae patterns! ), and this dress was a lot of fun to make. I hope its recipient loves it. 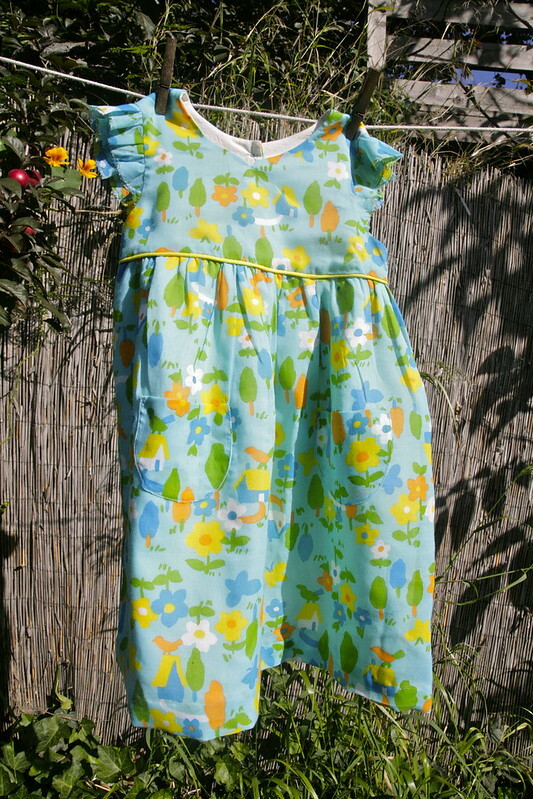 And now to my next birthday dress: For my little niece Helen, soon to be four! It's so cute. I love the piping and the buttons. This is so sweet, Inder. And I love what you did with the buttons. It works perfectly with this dress. You are such a generous friend and auntie with your sewing. 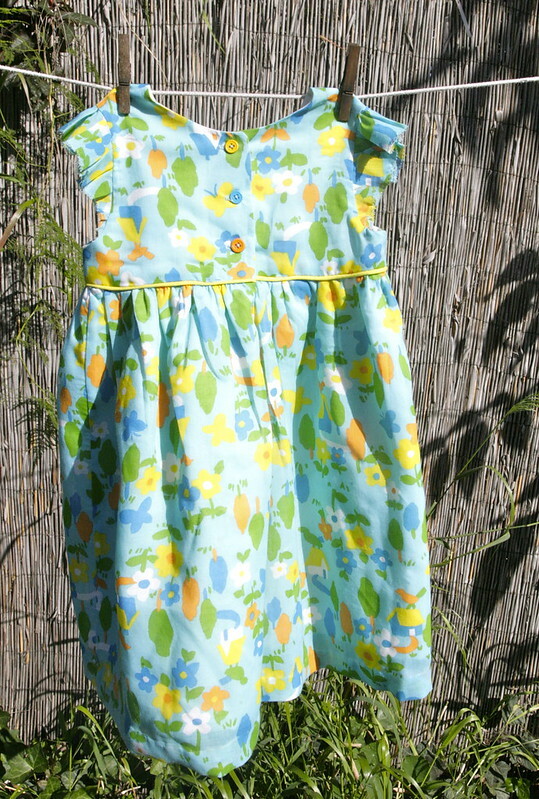 I love that you make dresses for gifts- how wonderful! 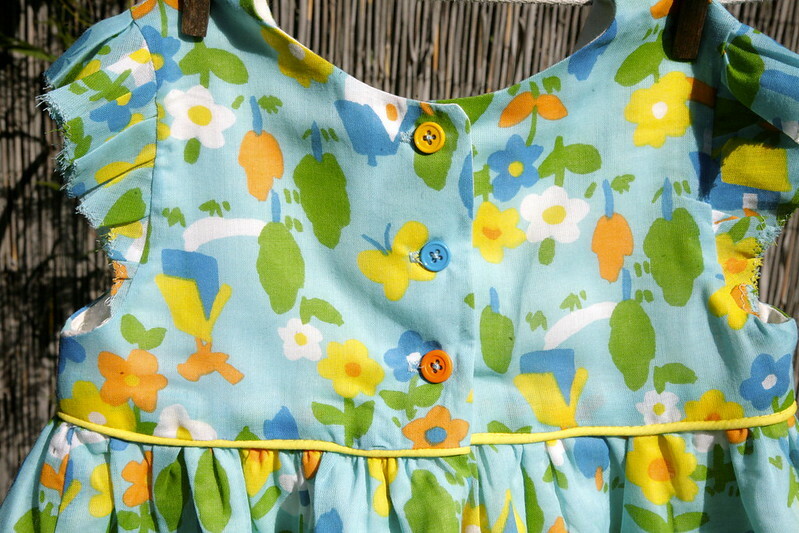 And what fun fabric and buttons. I love the little ruffled sleeve. I was worried about the raw edge too so I lined the one I made, but I can see that the zigzag would have worked. I was all set to make E some more geraniums for this summer but all of last summer's still fit! 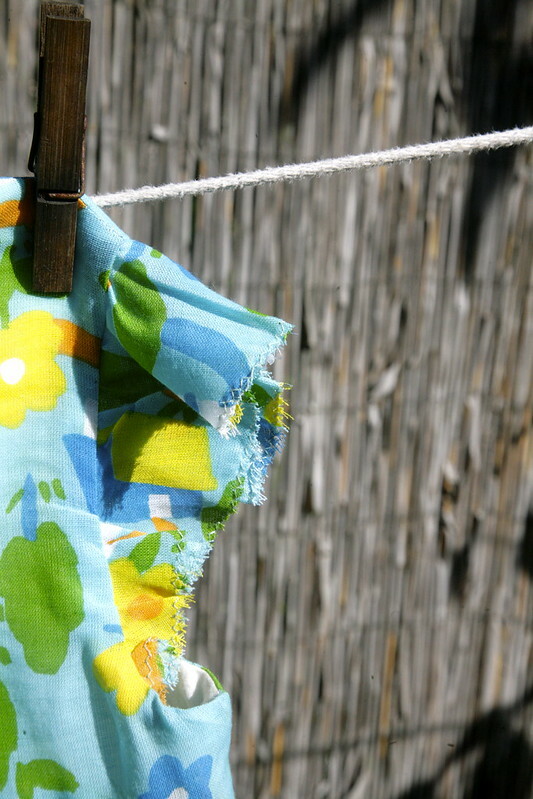 So I think I'll make some shorts instead, as we do have a shortage there. lol...My first thought was "oh what cute fabric! I bet it's vintage and hard to find." Yep!